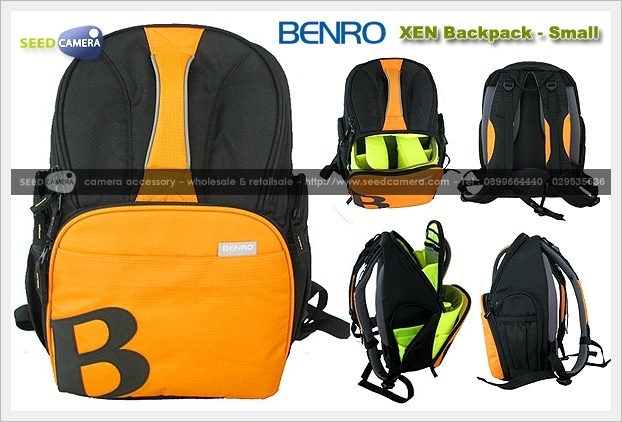 You may think this compact and good-looking bag is a common backpack,yes,it is.But actually it is designed to be a camera bag.Dual compartment and dual function design,the upper compartment can hold clothing,cables,batteries etc.While the adjustable and removable lower compartment can well protect your gear.The bag can be used as a daily pack or shool bag when the insert is removed. ส่วนด้านบน : 25 x 16 x 20 Cm. ส่วนด้านล่าง : 23 x 17 x 16.5 Cm.